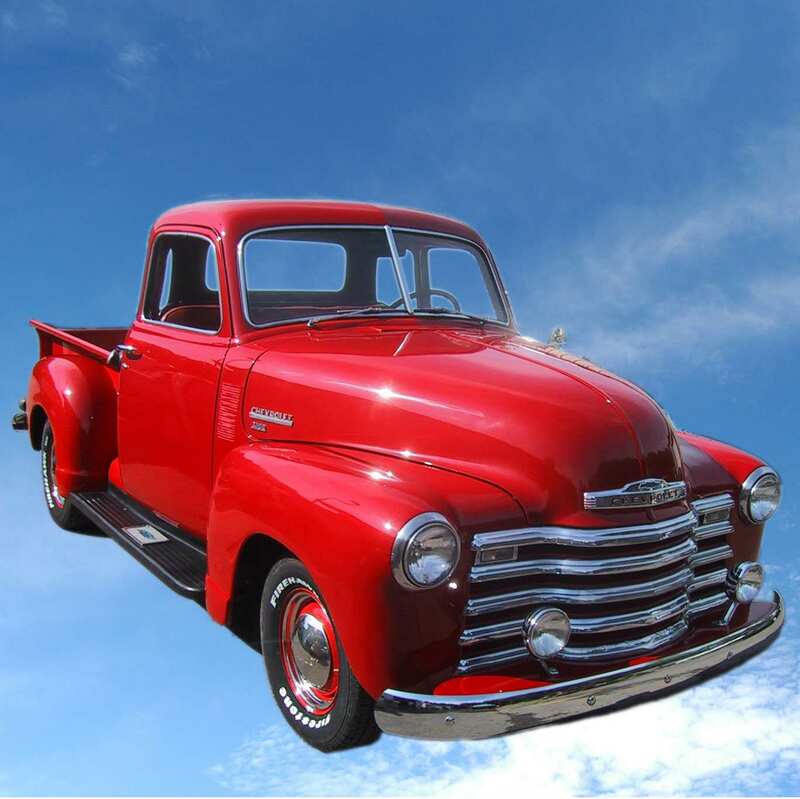 If you need a vintage truck for your next photo or video shoot, consider "OldnSlo"
- a restored 1949 Chevy Pickup! "OLDNSLO" is a restored 1949 Chevrolet model 3100 "5 window" pickup truck. This truck is not a hot-rod. It is a fully-operational expression of the 'Advanced Design' that these trucks offered as the first new vehicles General Motors produced after World War II. The only concessions to modern convenience (and safety) are seat belts, a dual-cylinder brake system and electric windshield wipers and turn signals. Other than that, this old truck is a time machine... drive it down some country roads, and you can imagine just how it felt to be driving down that road in the 1940s or 50s. The classic curves of this mid-century American sheet metal elicits smiles wherever it goes. "My grandfather taught me how to drive in a truck like that..." is the sort of thing you hear from folks wherever it's parked. "OldnSlo" makes a great prop for album cover art, music videos, wedding portraits - any event or situation that strives to recall a bygone era. When not in use, the truck lives in Pegram, TN, about 25 minutes from downtown Nashville, TN.